The access to the cruise is permitted for little and medium domestic animals under the discretion of the driver. Using muzzle and leash is mandatory and the holder must assure that the pet carrier is not in a poor state or that it does not contain food. 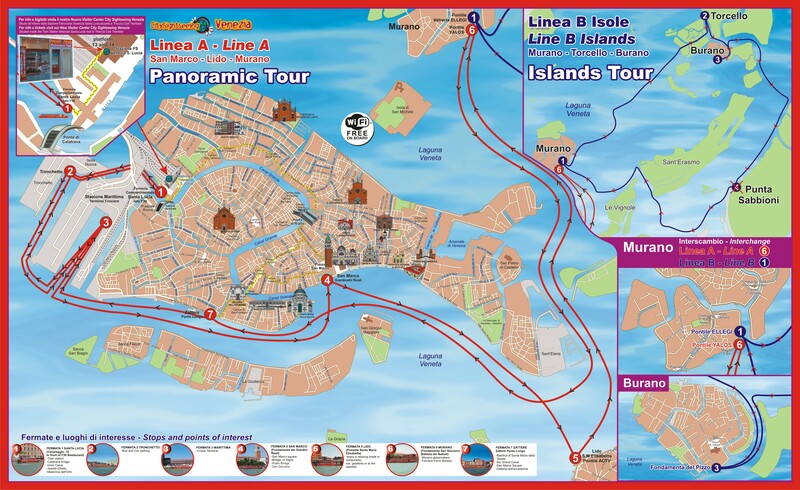 The owner or the holder of the animal is liable for any damage caused by the animal.For safety reasons it is strictly forbidden to bring luggage, awkward bags, big backpacks or bulky baggage on board the City Sightseeing cruises.This tour is wheelchair accessible.